War is an ugly thing but it does make for good movies. For almost 70 years, from Stalag 17 & The Great Escape through Patton & The Bridge on the River Kwai to Saving Private Ryan, filmmakers have mined commercial gold by focusing on the unparalleled exploits of the United States military. In this movie, you’ll watch the Marines go ashore on an insignificant piece of rock in the Pacific and slog their way past determined Japanese defenders. All the while, soldiers and sailors will continually die. There is never any respite for these warriors. Noteworthy for its final scene, this movie beautifully encapsulates the utter futility of war. Even in victory, there is defeat. Directed by the incomparable John Huston, starring Robert Mitchum and Deborah Kerr, this remarkably “light” war movie is actually quite deep on many levels. Not only does it touch upon the ethics of war but also compares the rituals and the Marine Corps with the Roman Catholic Church. In short, it is a very compelling study of the desires, compunctions and motivations of human beings. The forerunner of every submarine movie made in the last 70 years, Run Silent, Run Deep features Clark Gable and Burt Lancaster as the commander and XO, respectively, of a Pacific theater of operation’s submarine. The movie features taut dialogue, extreme close-ups and readily conveys the claustrophobia that service on a wartime sub entailed. Extra drama comes from the fact that Mr. Gable’s character has an Ahab-like fixation on sinking the Japanese destroyer that almost ruined his career. The movie is also notable as big screen debut of the inimitable Don Rickles. Most remarkable because it details a true story, this movie recounts the three year ordeal of George Tweed on the Japanese-held island of Guam. Radioman Tweed must fend for himself on a small island while also avoiding the perpetual patrols that search for him. John Donne had it right as Tweed must constantly rely on the good graces of the island’s native inhabitants. An excellent portrayal of Tweed by Jeff Hunter in the best performance of his career. Shot on location in Normandy and utilizing both German and Allied military consultants who took part in the actual battle, this is THE D-Day movie to watch. (Sorry Mr. Spielberg.) It was also the most expensive black and white movie made until Schindler’s list surpassed it 30 years later. The big name actors are too numerous to mention plus there’s the Beachmaster’s dog. Just watch it and revel in the English, French and German dialogue. Based on the debut novel of James Clavell, this movie does far more justice to the intricate, psychological weavings of the author than later films such as Shogun, Noble House and Taipan. George Segal skillfully plays the Rat. Don’t miss his line, “It’s Hawkin’s dog” and be sure to watch until the very end when Richard Dawson makes his screen debut as the first liberator into the camp. Made only 20 years after the actual events, this movie focuses on the everyday combat soldier. In fact, there are almost no portrayals of any officer above the rank of “bird” colonel or politicians. Instead, we are treated to the heroics of Sgt. Guffy (Telly Savalas), Lt. Colonel Kiley (Henry Fonda) and a host of other characters. It is a beautifully filmed movie, though panned somewhat for its historical inaccuracies. Pompous English officers, dastardly Nazis and Frank Sinatra commanding a trainload of intrepid Allied POWs determined to escape. What else could you ask for? (Vito Scotti as the train driver, you say? You got it.) This movie is a treat on multiple levels. While the acting is sometimes strained, the sentiments are always in the right place. And, you’ll never see the Chairman of the Board die in a better way. It’s a rare individual who can still name all the actors who portrayed the Dirty Dozen* but there were even fewer American schoolboys in the 60s who didn’t know the movie, the characters and the famous rhyme that delineated their suicide mission. A phenomenal cast inhabits this magnificent piece of military whimsy. The idea that convicted felons would be entrusted with such a complicated and important mission is beyond conception. Still, the acting, the plot and the ending are so completely believable that many thought that the movie was based on a true story. 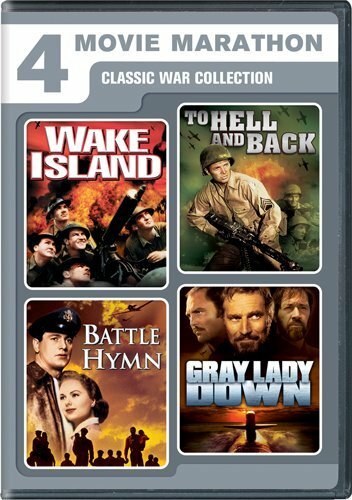 For any war movie aficionado, these movies should all be viewed two or three times to get their full flavor. Don’t forget that many of the actors, directors and crew were present on the battlefields of WW II. most of these movies are based on actual events, though each is fictional to a great extent. Still, there is more than a grain of truth in the pathos, humor and humanity depicted in every scene of the life and death situations shown in these damn good, World War 2 movies from the 1950s and 1960s. Good list. I remember one called The Victors that was good. I might have a different opinion if I saw it now. Amazing movie. I have watched many of them. All they depicted the situation on those days. Now one can watch all latest movies, TV shows and series for free on MediaBox HD app.